Research from the Royal Mail reveals there is much to look forward to once we all reach 55 – and also more opportunities for travel companies to target the Silver Surfers. 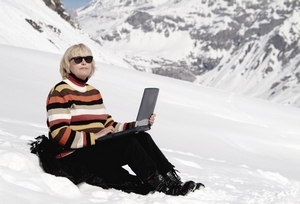 The Charmed Generation, as the organisation refers to the over-55s, take 37% more holidays a year than any other group. In fact, they are the second fastest growing market for Round-the-World trips. And, apparently, they spend around 14 hours a week surfing the web.